We Indians are all designers by instinct — multitaskers and problem solvers who overcome our daily challenges intuitively. 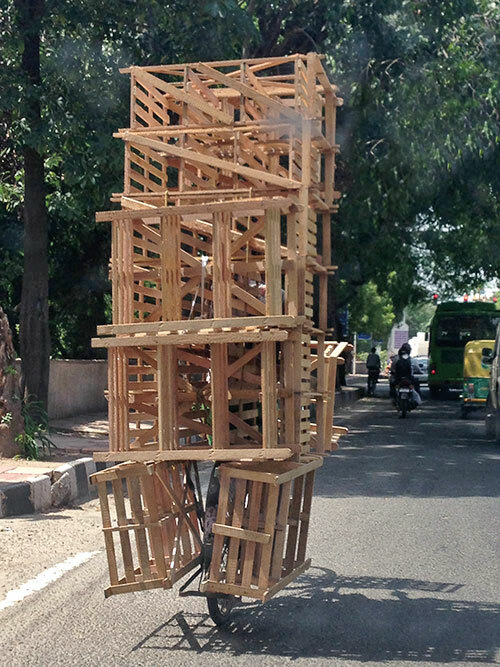 This behaviour relates to what I call the Jugaad Aesthetic, which is about being able to do more with less. It is the idea of constructing something hastily, in an ad hoc manner, with less time and material resources. This sensibility of ‘informal India’ is the true essence of the nation’s spirit. As a designer, I am very interested in spontaneous acts of creation by people not trained in design. Paradoxically, I have found that in their process of ‘speed-making’, despite a large number of constraints and pressures, they unwittingly become designers. This raises certain questions in my mind, such as if there’s such a thing as an Indian Design Language? What would that look like and what would it stand for? Can the everyday informal street culture, habits and behaviour of people — in our towns, cities and villages — redefine the way we understand and apply design in the Indian context? And can the chaos, disrepair and unpredictability of our country inspire design if not help spur it? Additionally, in a post-globalised world, can design be universal and yet imbibe qualities that are intrinsically Indian? This sort of thinking is a result of years of observing and documenting the informal settings of India. Whether it is the zillas and gaons in rural India, the bazaars and bastis of small-town India or shanty towns of urban India — I work like a cultural anthropologist, trying to decipher how and why people do the things they do. I am very interested in how we Indians behave. 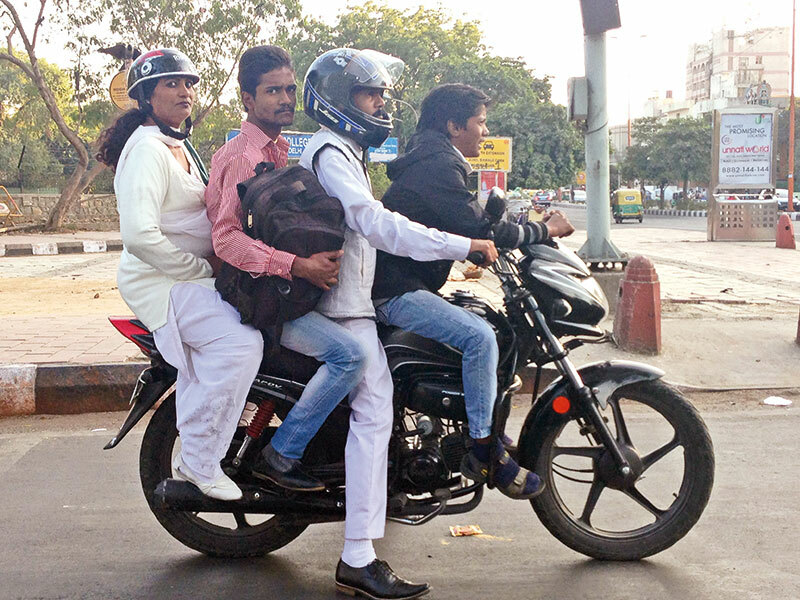 On the chaotic and restless streets and in any corner of the country, we see risk-taking in action. You could also call this multitasking, but either way, things are just done differently here. And usually, in a very nonchalant and casual manner. 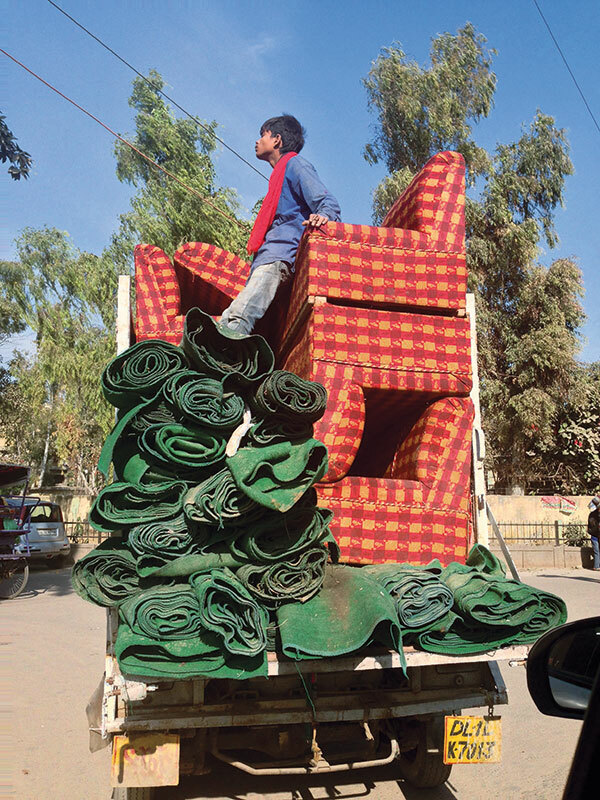 You won’t find an immensely overloaded goods truck anywhere else, or a person hugging an autorickshaw while it is speeding on a highway; or people sitting on top of stacks of chairs, while in motion; or a pillion carrying a gas cylinder on a speeding two-wheeler. These are not mere circus acts, but behaviours of necessity — of a system refusing to fail. Scarcity of resources, the rising population and prices; the odds are stacked against lower income groups in the country. In their daily struggle, where it is easy to surrender to but difficult to persevere, the mere act of survival means risk-taking. Over time, I have looked out for and collected chairs that are a reflection of this zeitgeist: the Indian mindset and its chutzpah. Titled Construct-Deconstruct-Construct, these pieces are part of a project called Porosity Kabari where I worked alongside two Australian designers. Initially shown at Studio X Mumbai in 2016, this collection will now travel to Nishi Gallery in Canberra, Australia. The works are based on found objects, from the streets of Mumbai, that are made from scavenged pieces of wood — which have been put together in an ad hoc manner. These ‘naïve’ objects, which don’t follow the principles of design, lie on the margins of functionality. There is a ‘typical’ aesthetic that comes out of this ‘Do first, think later’ action, which is related to the idea of improvisation, where time and material are scarce, as survival is at stake. Each of the pieces are totally unique, especially due to the fact that they were made spontaneously by ‘non-designers’ not looking to perform a conscious design intervention. Instead, they were put together for the basic and often overlooked purpose of being able to sit in a small area of the busy, congested sidewalks of the city. 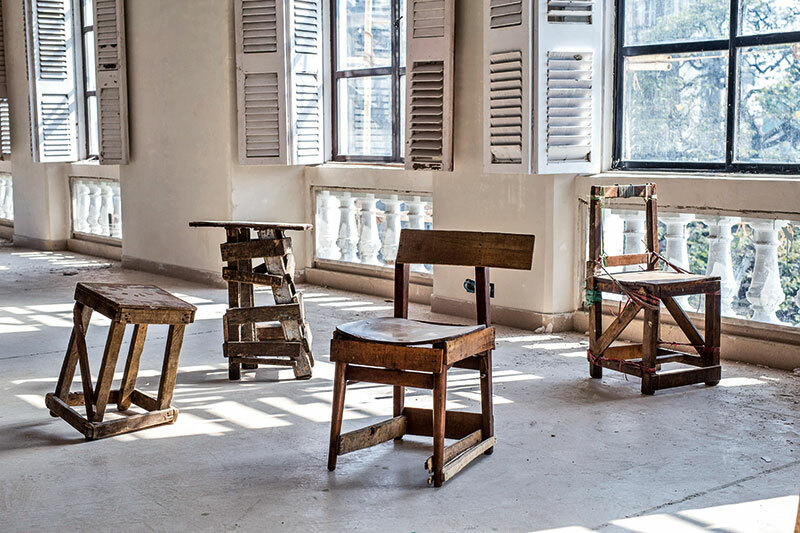 The title of this collection refers to the cycle of reusing materials from previously functional objects — whether they were one of the thousands of crates found in a trading city or old discarded furniture — to construct entirely new pieces. These are also eventually deconstructed and reconstructed, into new avatars in the constant reincarnation of objects in this sequence; continually being rescued from the brink of obsolescence. Metaphorically, it addresses the process of a design intervention: observation or collection of objects, deconstructing, followed by the intervention. These vernacular pieces of seating are gestural in nature — a quality that is also imparted to the posture of the sitter due to the structure of the object. They induce subconscious behaviours and movements such as rocking and sitting sideways, in response to their ergonomics (or lack thereof). The sitter and the seat are, in a strange sense, a reflection of each other — they both represent the beauty of imperfection and the daily struggle. The object visibly displays its wear and tear and doesn’t try to mask or embellish it in any way. Ultimately, these works are not only symbolic of attitudes unique to our culture, but are something to be understood better, if not celebrated by a mainstream society that tends to look to the West for inspiration. The fact that these objects will be making the journey to a gallery outside the country, as few similar examples have before, means there is scope for a reversal to also happen, where people in the West might start looking to the contemporary Indian zeitgeist for inspiration.